We’re Marie Stopes Australia, the leading national provider of sexual and reproductive health, and we’re looking for our next CSSD Technician in Maroondah. You’re looking for extra work to complement your hospital work, or other clinical role. You’re also after a bit of extra income without sacrificing your evenings. We’re looking for someone who will provide a safe and sterile supply of medical instruments and equipment to the clinic, assisting in the provision of high quality client care. At MSA we believe in children by choice, not chance. Our vision is to help all Australians take control of their sexual and reproductive health, and we can’t do this without passionate and committed staff. We believe that diversity makes a better workplace, so we’re an equal opportunity employer. Marie Stopes Australia values a safe working environment. As part of our recruitment and selection process, potential candidates will be required to undertake a background check. Please be aware that if your application is successful, a member of our team will be in contact with you. Our National Support Centre provides crucial support and access to patients; please do not call it for information regarding job applications. To be eligible for this position you must have an appropriate Australian work visa. 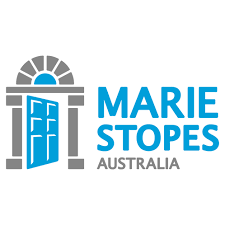 Marie Stopes Australia does not provide work visa sponsorships. Please quote in application: CSSD Technician via Pro Bono Australia.